By Karen Paulo. 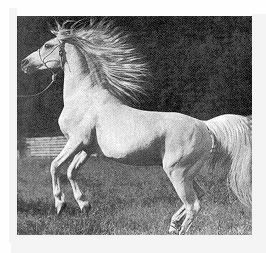 The great Gulastra 521 died before his last batch of foals arrived in 1955. 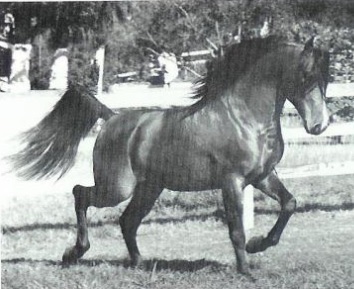 Left among his legacy was a chestnut colt foaled on June 7, out of Al-Marah Aasaba 5352, “one of our best Indraff 1575 daughters,” states breeder Bazy Tankersley in some old correspondence regarding the mare. 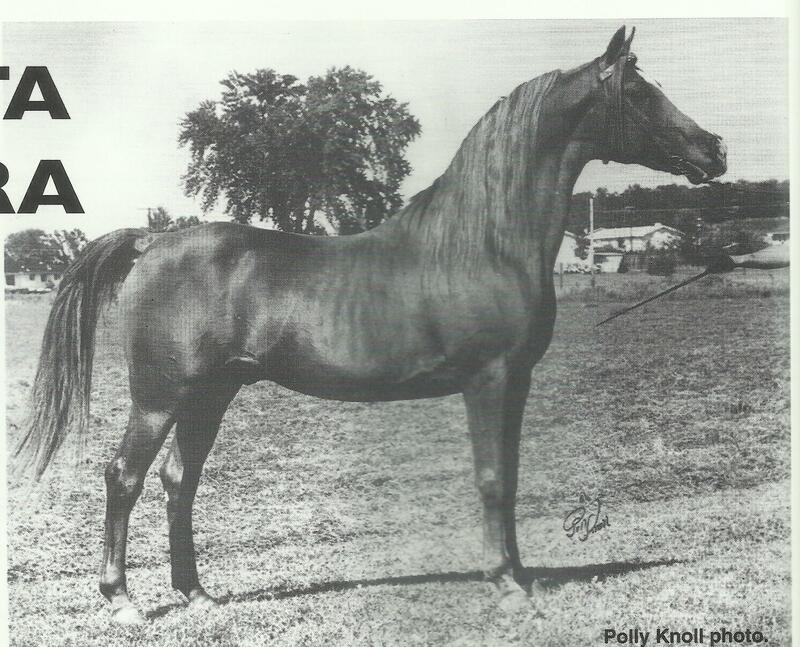 The colt was originally named Al-Marah Anmar, which is Arabic for ‘patriarch.’ The name was later changed to Roh Beta Gulastra, after his purchase in the 1956 Al-Marah Auction by Dr. Roger Baker, who was “Jack Armstrong – The All American Boy” of radio fame.